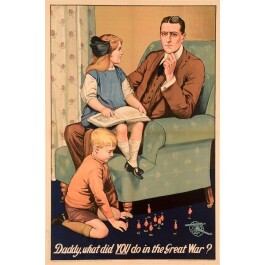 British Propaganda "Daddy What did you do in the Great War?" "Daddy, what did YOU do in the Great War?" 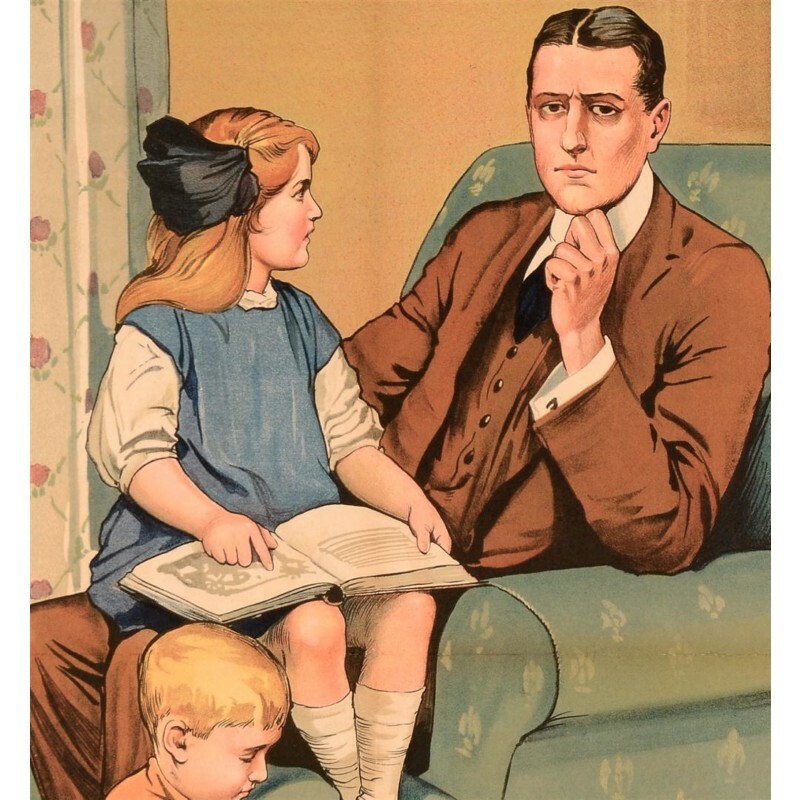 A poster (published 1915) by Savile Lumley as a British propaganda poster from World War I, commissioned by The British Parliamentary Recruiting Committee. 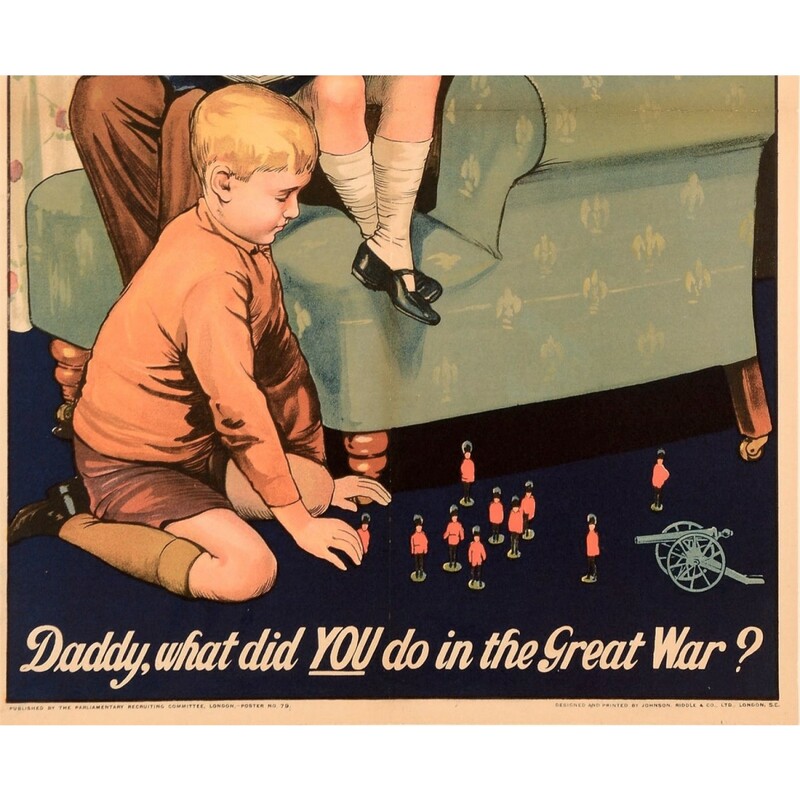 Using guilt as the motivation, Savile Lumley managed to create one of the most memorable World War poster. Until conscription was introduced in 1916, recruitment posters were an essential element in attracting young men to the armed forces during the ‘Great War’ of 1914-1918. Savile Lumley’s poster has become one of the best known because of its tone of emotional blackmail. 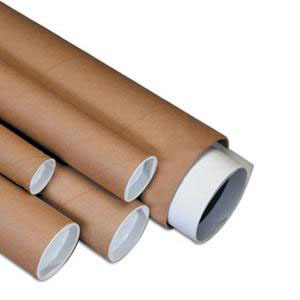 The idea was actually that of a printer, Arthur Gunn, who is reported to have imagined himself as the father in question. In fact, after having a sketch of the scene made up by Lumley in 1915, Gunn joined the Westminster Volunteers.